Art. Math. Science. Reading. Sensory Play. Outdoor play. Pretend play. Social skills. Self-help skills. 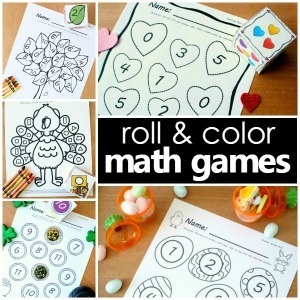 There is SOOOO much to to incorporate into our busy days with preschoolers and kindergarteners, so whenever I can I love to do activities that touch on a variety of key areas. 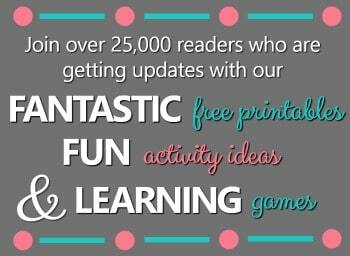 It saves planning time, exposes kids to a variety of skills, and gives us extra time in our day to do other things. 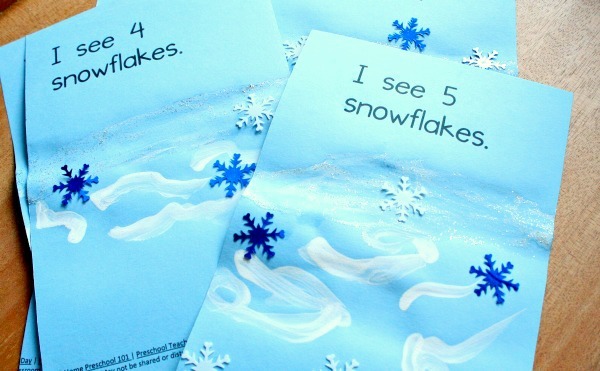 We recently used the snowflake emergent reader for our snowflake lesson plans as the basis of a process art, math, and reading activity. My art-loving kindergartener was thrilled! Snowflake manipulative of your choice-Choose from snowflake sequins, foam snowflakes, white snowflake jewels, snowflake stickers or any other idea you have in mind. Art materials of your choice-Choose from glitter glue, white paint, colored pencils, oil pastels or any materials you have on hand. We started this activity by discussing the setting of a story. I showed my daughter the cover of the book and asked her where this story might take place. She said it would be outdoors or maybe someone looking through a window. We talked about what it might look like and how she might use the materials I had set out to make a setting that matches the words in the book. She then got right to work creating her scenes. She loved using the glitter to make “tiny sparkly snow flurries”. 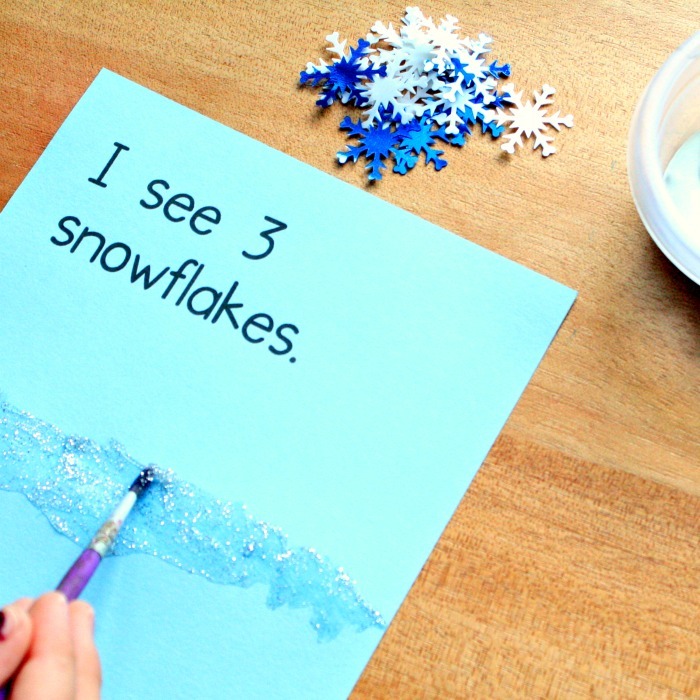 She added white swishes of paint to show that “it’s windy out.” Then she used glue to attach the snowflakes to her creations. She matched each number and then had fun adding as many snowflakes she could on the last page. The hardest part of this activity for her was find the patience to let her art dry. She wanted to put her book together so badly, but we had to wait a bit before she could do that. 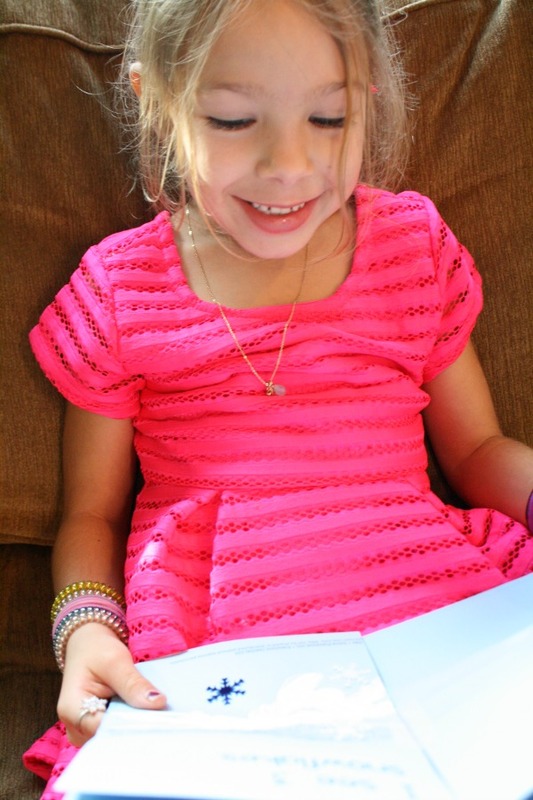 Once all the pages were dry we stapled them together, and she was eager to sit down and start reading. Self-made emergent readers can be very motivating for kids. They love reading books that they helped create. We’ve tucked this one in our winter basket of books so my daughter can reread it and share with others, too. Continue the snowflake fun with these books about snow. 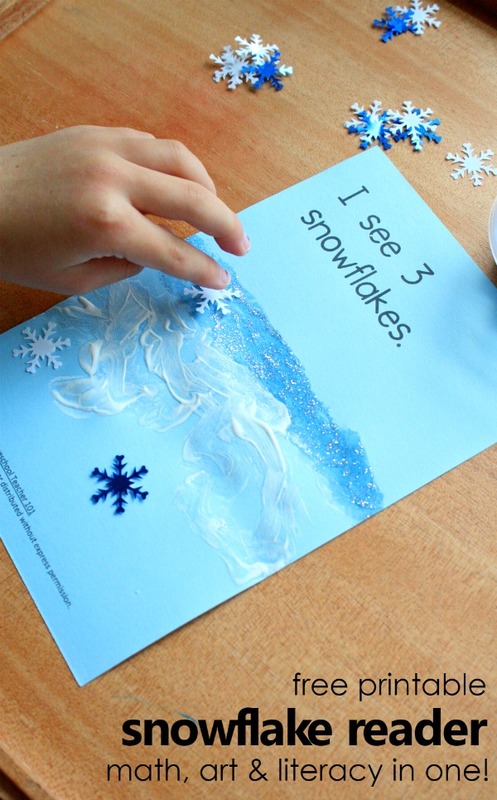 Or if you’re looking for a full series of activities and lessons, try our snowflake lesson plans for preschool classrooms or home preschool.